We are proud to announce that Steven P. Cohn has been recognized for the prestigious National Advocates Top 100 Lawyers . 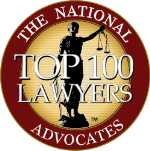 The National Advocates Top 100 Lawyers seeks to identify the top 100 attorneys who exemplify their duties as they represent individuals in their legal specialties. These attorneys demonstrate leadership, influence in their community, and premier performance. The Advocacy Center for Employment Law specializes in employment and labor law with a focus on harassment and discrimination litigation. The firm also addresses civil rights violations, unfair business practices, workplace sexual harassment, and unlawful discrimination. California laws provide protections and relief for workers that have been misclassified as an independent contractor. Classifying employees as independent contractors offer companies significant savings, since they do not need to pay the employer-portion of Medicare and Social Security taxes, nor do they need to provide workers’ compensation insurance, unemployment insurance, and other rights and benefits, such as overtime or meal and rest breaks. If your employer has been treating you as an employee, yet has been classifying you as an independent contractor, you should consult an employment lawyer for clarification about your rights, time limits, and possible recovery. If you have a good relationship with your employer, you may wish to ask them to review your classification. If your employer decides not to reclassify you or refuses to review your classification, try to obtain an explanation, preferably in writing, as to why your employer has classified you as an independent contractor. If you still think that you should be classified as an employee, contact an employment lawyer to discuss your options and to review your employer’s explanation. 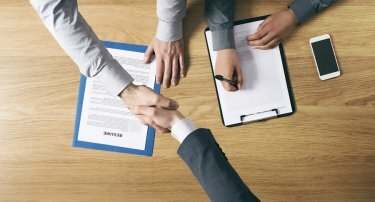 There is no set definition of the term “independent contractor”. In handling a matter where employment status is an issue, the DLSE presumes that you are an employee. Your employer must present evidence to rebut this presumption in order to show that you are properly classified as an independent contractor. After looking at all of the evidence, a judge will then apply a number of factors, all of which must be considered, and none of which is controlling by itself. These factors are sometimes referred to as the “economic realities” test. In applying the “economic realities” test, the most significant factor to be considered is whether the person to whom service is rendered (the employer or principal) has control or the right to control the worker both as to the work done and the manner and means in which it is performed. The DLSE will also find an employer-employee relationship if (1) the employer retains extensive control over the whole job operation, (2) the employee’s duties are integral to the operation, and (3) the nature of the work would not require detailed control. Speaking with an employment lawyer about these factors is critical , as their experience with past clients, and their knowledge of other cases, can help think of creative ways to fit you within these factors and establish your status as an employee. Overtime pay is generally owed to all non-exempt employees who work more than eight (8) hours in a work day, or more than forty (40) hours in a work week, or for any hours worked on a seventh (7th) consecutive day of a work week. 1. How Is Overtime Compensation Calculated? Employees who are entitled to overtime must receive at least one and one-half times their regular hourly rate of pay for overtime hours that they work. If the employee works longer than twelve (12) hours in one day, or over eight (8) hours on a seventh (7th) consecutive day of work, they are entitled to overtime at a rate of double their regular hourly rate of pay (sometimes referred to as “double-time” instead of “overtime”). 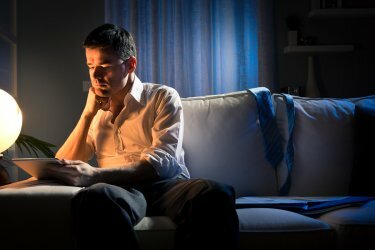 Since there are complicated exceptions and exemptions to California’s overtime law, you should contact an employment attorney if you believe that you are owed overtime for hours that you have worked. 2. How Can I Recover Overtime Wages an Employer Refuses to Pay? If you worked overtime hours, but you did not receive compensation equal to what is described above, your employer may owe you back pay and may also be required to pay certain penalties to both you and the State. California provides workers with a free, streamlined administrative process to recover back pay, other wages, and penalties through the Labor Commission, under the Division of Labor Standards Enforcement (DLSE). An employment attorney can help you file a Claim with the DLSE, and represent you at the mandatory Conference and Hearing.